L.N. Treks offers an adventurous alternative to conventional trekking. After you hike or drive through scenic villages and countryside you will reach a valley and a thermal station. 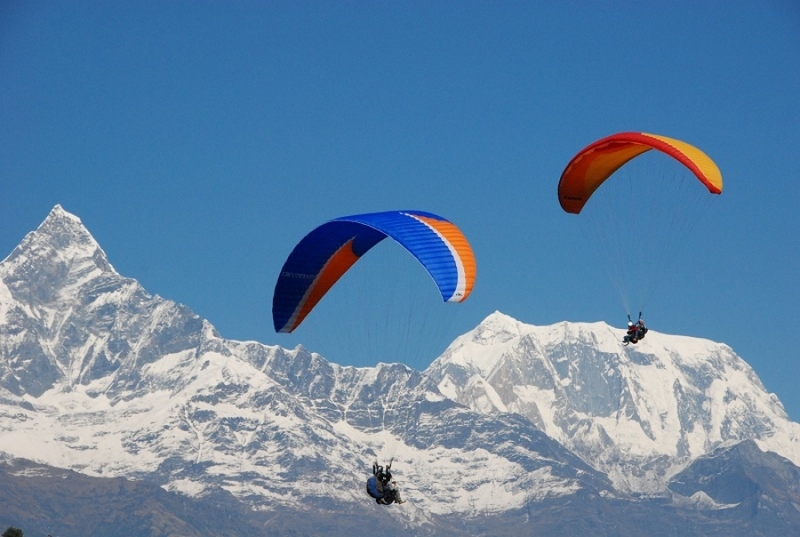 From here you will fly down on a tandem flight with a paragliding pilot while taking in stunning views of the Himalayas. It’s a great way to experience scenery from both land and air. After flying or driving you will arrive at a plateau and a experience the unique pleasure of ridinge beautiful, friendly ponies around the valley. You will experience Tibetan culture and landscape, passing many monasteries and an oasis in the desert along the way. 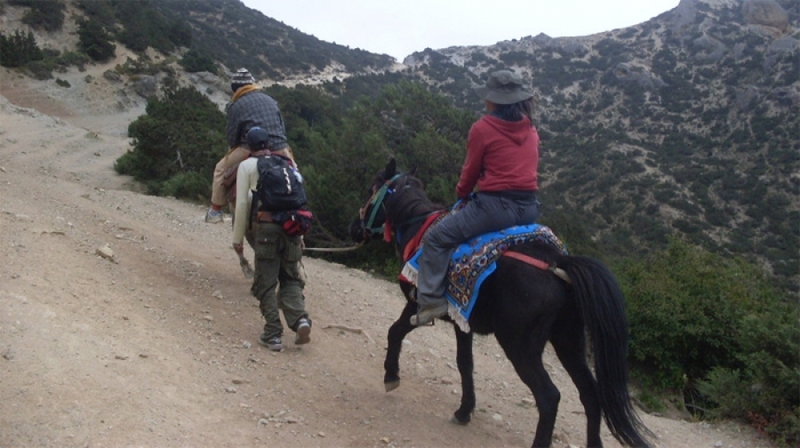 Pony trekking can be one to several days long in the Lower and Upper Mustang area. Horse riding experience isn’t needed as the guide will lead you through the trek. This is available with teahouse accommodation. Visit Everest and Annapurna Base Camp in the same day and take time for coffee breaks! Nepal is hilly and it can take hours and sometimes days to travel from one place to another. Many people wish to see much of the country but finding enough time is unrealistic and impractical. L.N. Treks offers a solution to this by giving you the chance to fly over the Himalayas by helicopter and enjoy one of the finest experiences of your life. In the comfort and safety of the helicopter you can see Kyanjin Gompa, Jaljala viewpoint, Gosaikonda lake, Punker and Rara Lake with plenty of time to relax. 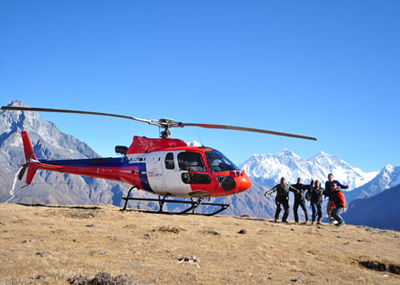 Although pricier than other tours, helicopters are a convenient way to see a lot of Nepal and a good choice for people with limited time or physical fitness.